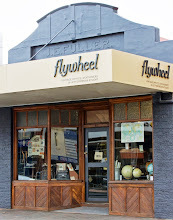 With the arrival of Spring we have introduced some new cushions to our soft-furnishing range... 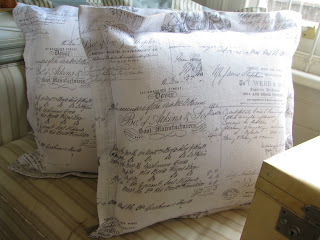 I love these linen cushions with 19th century newspaper script. Perhaps my favourite. 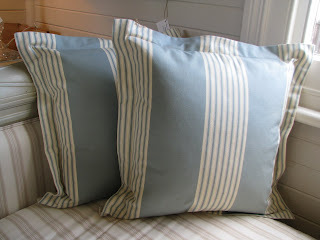 But these cushions are quite irristable with vintage French ticking in a soft blue. They are sitting contently on our French day bed. 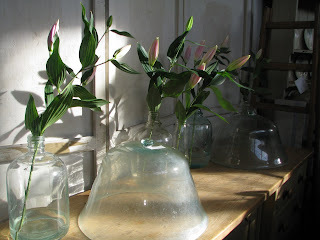 I see them in a baby boy's nursery or in a sunroom. 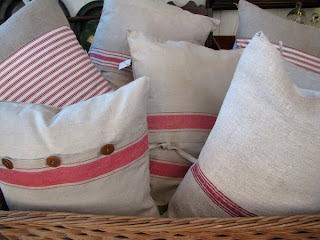 These cushions are made from vintage French linens. We will be bringing out some similar cushions made with blue detail soon. Thanks Ria. My mum is the clever one, she makes them. We spend a lot of time sourcing unique fabrics...you have a nice Sunday too! 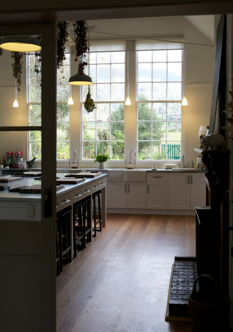 What a stunning blog! I am your newest follower and proud of it! i love pillows with script on them, unique and perfect! Thanks Danielle, I think they are unique too!